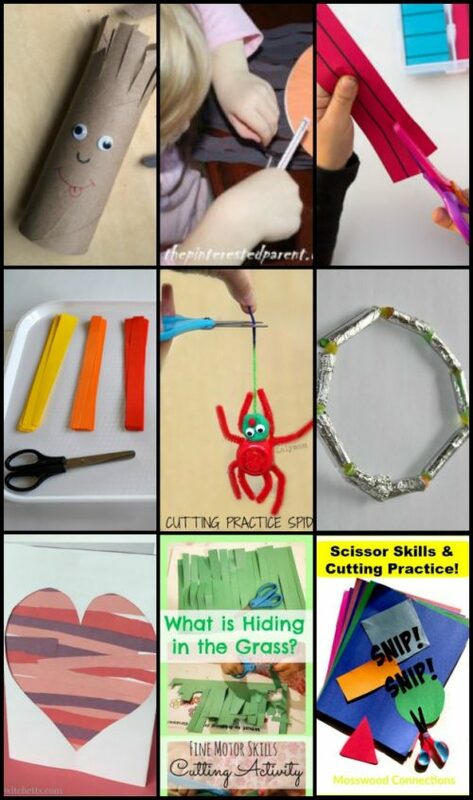 We’ve been working on scissor skills with the kids and we were looking for some new cutting activities to do. We asked a bunch of talented bloggers what was their favorite cutting activity. 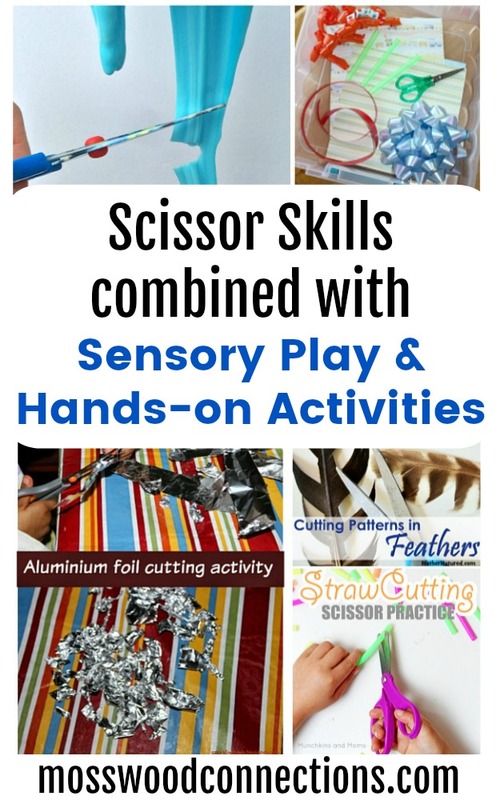 We collected those activities for this scissor skills and cutting practice activity round-up. 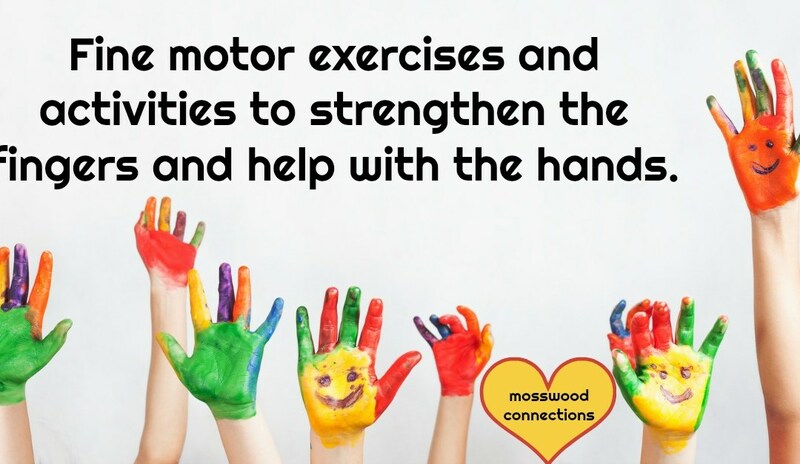 Scissor skills are part of the foundation for our children to develop fine motor skills they will need all through their lives. Start by teaching the children the proper way to hold scissors. First, make sure the scissors are oriented correctly with the smaller hole on top and the larger hole on the bottom. The thumb goes in the top hole. The pointer finger does not go into either hole, it is used to stabilize the scissors and the rest of the fingers go into the larger hole. The non-dominant hand is used to hold whatever object is being cut. Mama Smiles has some great tips for How to Teach Preschoolers to Use Scissors. How do you know what is the right scissors for your child? Munchkins and Moms have some advice on The Best Scissors to Introduce to Preschoolers. Fortunately, there is a wide variety of scissors available. If your child is left-handed be sure to provide left-handed scissors. 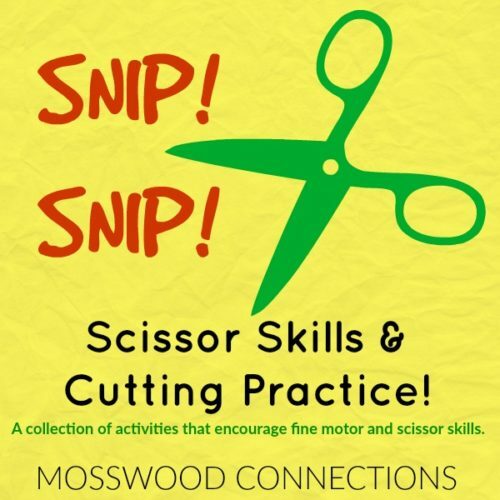 If your child struggles with fine motor skills start practicing cutting with scissors that have an adaptive loop. Parenting From the Heart combined dripping goo with scissor skills in this fun sensory activity. Kids love playing with goo and snipping the goo icicles is a good way to build scissors skills. Little Bins for Little Hands created an invitation to play and practice scissor skills by placing attractive items in a bin for cutting and snipping. By using a variety of objects to cut you also build hand strength. Sometimes the best way for the kids to learn is by keeping it simple. Kids Craft Room also created a wonderful invitation to play with their Sensory Nature Tray. Mother Natured used feathers in their Cutting Patterns in Feathers activity. The feathers add a sensory aspect to this invitation to practice cutting skills. We love flying straws and the kids do, too. So they are sure to loveMunchkins and Moms Straw Cutting Tray. Another great household item you can use as an invitation to play is aluminum foil. Sparkling Buds invited kids to practice snipping with scissors with their Aluminum Foil Cutting Activity for Toddlers. Laly Mom created a cute character she calls Sammy Scissors. The kids use the scissors to give Sammy a haircut and the best part is that she used a cardboard roll. Something we all have in our homes. The Pinterested Parent has their own version of a Hair Cutting activity that the kids are sure to love! You have to love the creativity! One of my favorite cutting activities is Fun With Mama’s Montessori inspired Printable Preschool Cutting Busy Box. 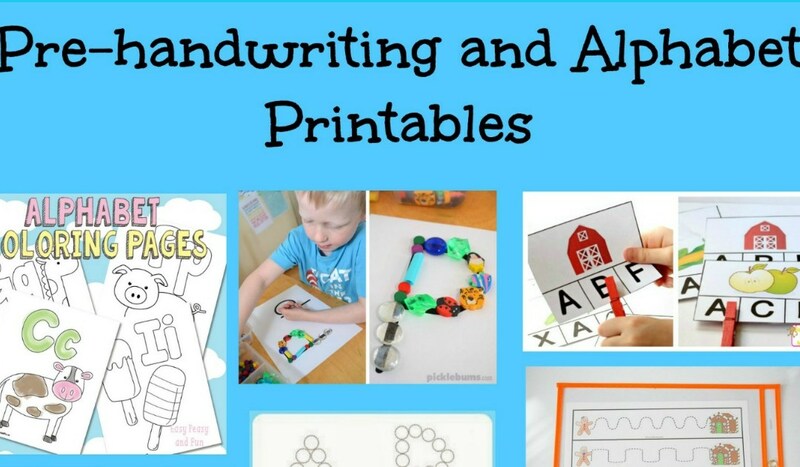 The printable cutting strips encourage young children to cut the paper a variety of ways. The kids can have fun cutting strips of paper and making a collage withPickleBums‘ Simple Strip Collage. 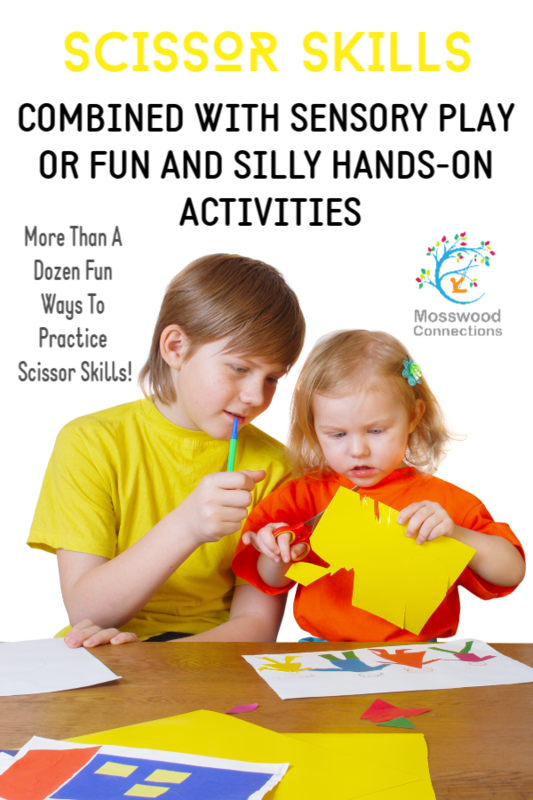 This is a fantastic activity for kids who are just learning scissor skills. Laly Mom also made an adorable spider and created the Cutting Practice Spider! Kids will love singing The Itsy Bitsy Spider as they practice their scissor skills! Sparkling Buds packed so many fine motor skills into her Aluminum Foil Necklace! 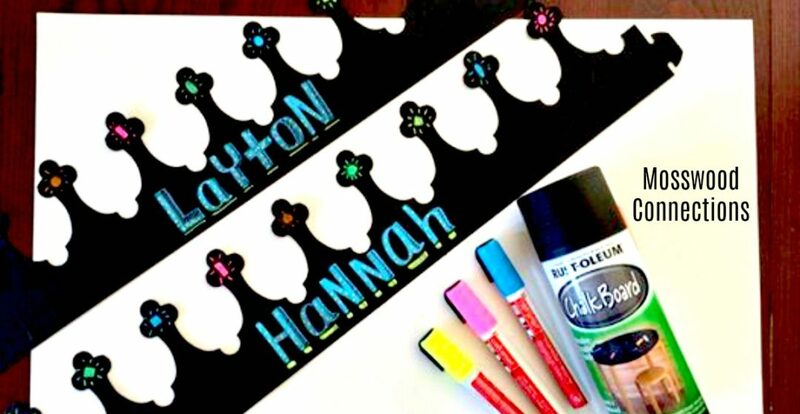 This activity can be done by young children and they will proud of the DIY gift they make. When they were looking for more ways to practice cutting skills Twitchettsdecided to make scissor practice Valentines. The beauty of this craft project is that the kids don’t realize they are building skills, they think they are having fun making cards. I love any learning activity that turns skill building into a game. That’s just what Schooltime Snippets did when they created this awesome What is Hiding in the Grass activity. Kids have to “mow the lawn” to find what is hiding in the grass. It’s a super cute activity.